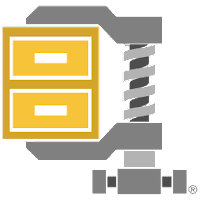 WinZip for Mac is an archiving and file sharing application designed specifically for Mac users that lets you zip and unzip files instantly using simple, drag-and-drop tools. With support for Zip, Zipx, RAR, LHA, 7Z, JAR, and WAR formats, the program makes it easy to open any compressed file you receive, regardless of the platform it was created on. WinZip Mac integrates with the Mac OS X Quick Look tool, enabling you to browse the contents of a Zip file before it is unzipped. Moreover, WinZip for Mac makes it simple to manage, protect and share files across email and the cloud. With direct support for Dropbox and Google Drive, powerful file protection and a legendary Zip engine. Disclaimer: Direct downloads for the lastest version of WinZip for Mac 6.0.3578 are provided by the official software's author, we can't guarantee safety, availability or download speed. Moreover, we don't and we won't provide any pirated/illegal versions or tools. We recommend you to avoid it as these methods can harm your device. If you like the software, buy it to support the developers. (We provide software discounts for many worldwide brands).